Newly reglued, and polished, this C1750 George II side chair features cabriole legs, club feet, and a flared back with a pierced splat. 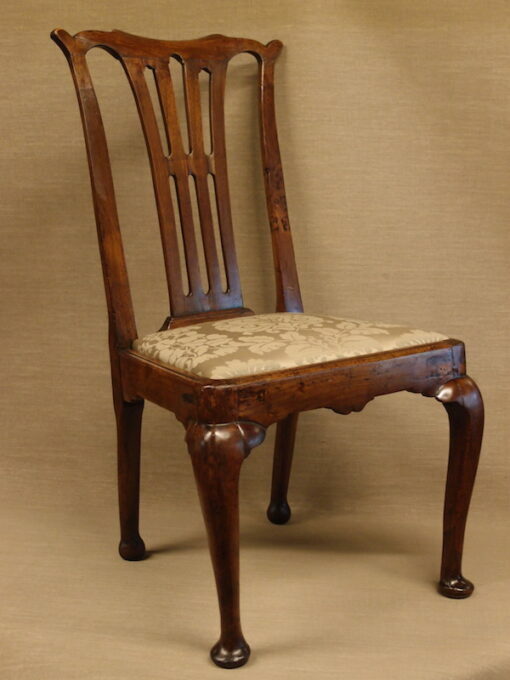 Pre-Chippendale in form, this chair has a tall back. Reupholstered. Replaced feet.